Nora Arlene (Williams) Lawson, age 88, was welcomed into Heaven by her Lord and Savior, on Monday, January 21, 2019. Nora was born May 30, 1930, to Roscoe and Alice Williams at the family home on W. Dale Avenue, in Muskegon. 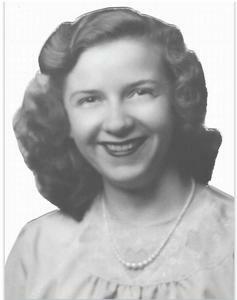 She is survived and forever loved by two daughters, Helene (William) Keehne and Karen Knowles; five grandchildren, Gabriel (Noelle) Knowles, Angel (Brian) Hagood, Heather Webster, and Nathan (Holly) Knowles; seven great-grandchildren, Andrea, Alex, Felicia, Brandon, Meaghan, Shelby, and Tucker; two great-great grandchildren, Vincent and Palmer; sister-in-law Judy Williams; and many nieces and nephews. Nora married Andrew Kuzyk and later Palmer Lawson, and they preceded her in death. She has also been reunited with daughter Phyllis Jean, who went to Heaven, several days before her birth. Welcoming Nora to Heaven were brothers and sisters, Doris (Bob), Robert, Ruth (Dale), Margaret (Louis), and Ronald. The family wishes to thank the entire staff of Senior Resources for providing services, support, and guidance since 2013. We also thank staff from senior living homes, Oak Crest, American House, Christian Care, and Families Manor for being her extended family. Special thanks to Families Manor team of Paula, Jean, Jessica, Jasmine, Jaime, and Ashley; Harbor Hospice nurses, Arlene, Dave, and Jeff. Your love and gentle care of seniors is so greatly appreciated. A Celebration of Life will be held on Thursday, January 31, 2019, at Calvary Church, 1070 Quarterline Road. The family welcomes you to visit and share stories at 10:30 a.m. and celebrate Nora’s earthly journey at 11:15 a.m. In Nora’s memory, please consider donating to Harbor Hospice or Calvary Church.